Matt Damon is one of the hardest working, most consistently superb screen actors working in Hollywood today. He’s one of the few people working inside the modern-day studio system who has yet to fully succumb to a large pay day. Even looking at his page on IMDB, you see he has 5 films slated for release in 2011, the first of which was The Adjustment Bureau. His name on the marquee was enough to draw studio money to a film otherwise filled with lesser names. Since his big break in Good Will Hunting, he has evolved into a full-fledged movie star without losing his passion-project sensibility. 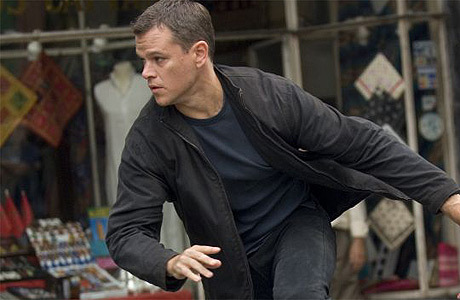 Whether he’s chasing down the truth in The Bourne Trilogy or partnering with Clint Eastwood, you have enough faith of his ethic off-camera to enjoy what’s about to be in front of it. 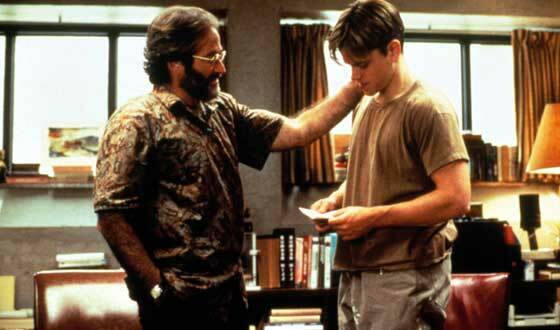 Good Will Hunting– Damon co-wrote this excellent film with Ben Affleck. With Gus van Sant at the helm, they created an emotionally complex tale of a man learning to be comfortable with his genius. Damon is explosive as Will, slowly revealing the toils behind his arrogance and insecurity. The scenes he shares with his therapist (Robin Williams) are by far the movie’s best because of the excellent writing and acting. 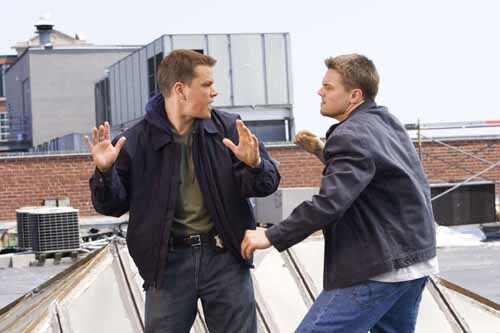 The Departed– Damon does something rare here: he makes you feel something about a character you shouldn’t feel anything about. As a mole planted in the Boston Police Department, we see him corrupted at a young age and loving it. His unwavering loyalty to Frank Costello (Jack Nicholson) is not heart-warming so much as it is chilling. But in the end, when all of the principle cast members face a loaded gun and you see them all as humans, what’s the difference? The Bourne Trilogy– The shaky camera that is this franchise’s signature is not for everyone, but once you start you have to endure it even if you can’t stand it. That’s because Damon is a force of nature and a new kind of action star as Jason Bourne. The insistence on realism and the darker tone of the films distances it from the playfulness of Bond movies. In his violent, adrenaline and idea-fueled quest for answers, Bourne helps uncover something about the American way of life in all of its treacherous glory. True Grit– Damon almost has too much fun as LeBeouffe in the Coen Brothers take on True Grit. Though Jeff Bridges gives the movie’s most showboating performance, Damon gives perhaps its best. His sly delivery of the often-dry dialogue has never shown his knack for comedy more, especially in the disparate lands of the Old West. 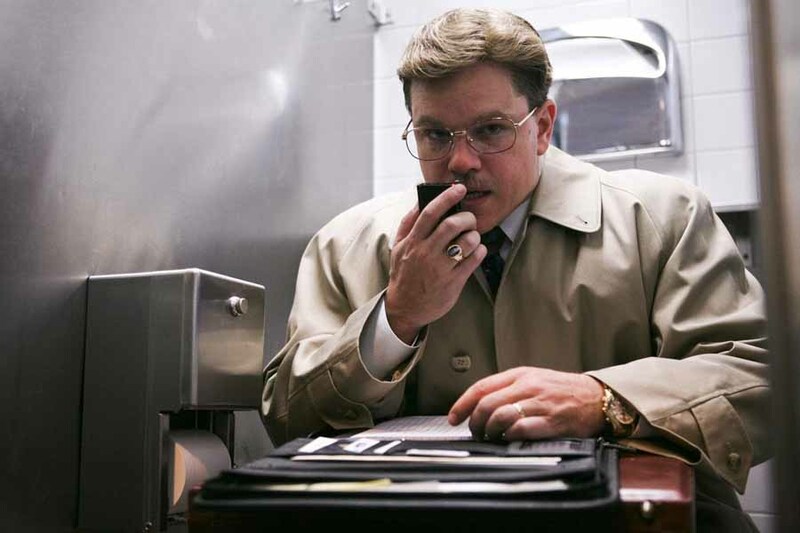 The Informant!– Far from his work in the Ocean’s trilogy, Damon again finds himself paired with director Steven Soderbergh. Instead of robbing banks, though, we find him as a jittery government informant helping to take down a big agriculture firm. This is Damon’s most inspired performance, and he’s never been charged with carrying a movie so much as he is here. The playful tone of the movie only softens the blow a little, as Soderbergh and Damon help show us America under siege… again. Other notable performances: The Talented Mr. Ripley, Ocean’s Eleven, Hereafter, Invictus, The Adjustment Bureau, Syriana, and The Legend of Bagger Vance. This entry was posted in Features and tagged Ben Affleck, Bourne Identity, Bourne Supremacy, Bourne trilogy, Bourne Ultimatum, Clint Eastwood, Coen Brothers, Good Will Hunting, Gus van Sant, Invictus, Jack Nicholson, Jeff Bridges, Martin Scorsese, Matt Damon, Spotlight, Steven Soderbergh, The Adjustment Bureau, The Departed, The Informant, True Grit by matterspamer. Bookmark the permalink. Along with Tom Hanks, Damon is my favorite actor. Nice spotlight.